Train with Grandmasters and Masters from around the US (all ages and ranks) in two back-to-back clinics on Friday night. Choose from subjects including teen self-defense, Tai Chi, Philippine stick fighting, form interpretation, knife disarms and more. Competitors ................................. Included with Tournament Registration! NEW FOR 2013! BUSINESS CLINICS! This year we have an special offering of business clinics for studio owners, instructors and support staff who may attend all three prior to the martial arts clinics later Friday evening. Clinics will be held from 3:00 - 5:00pm on Friday June 21, 2013. Click here for more information. NEW FOR 2013! FITNESS BOOTCAMP! This year we're kicking into shape with Sa Bom Nim Garth Charland during a 7:00am workout on Friday morning open to all competitors and their families for FREE! Please register to reserve your spot here. You will be sore Saturday! - Cancelled due to lack of interest. This clinic is being offered by Sa Bom Nim Garth Charland of the Charland Institute of Karate & Fitness. He will discuss tactics for setting a verbal boundary with a potential attacker/stranger when approached. This seminar will teach how to get the most out of close contact strikes to give a child the best chance to get away if that boundary is crossed. This clinic is appropriate for children ages 11-16. About the instructor: Master Charland holds a 6th degree in Tang Soo Do under Kwang Jang Nim David Sgro. He has had training with over 50 martial arts masters in his more than 30 year career. He has taught many women’s self defense courses and most recently has put together a 10 week program called “Things Girls Should Know”, taught Women’s Self Defense for a new organization called “Prepare to Act” and for his second year, has the contract to teach Self Defense to the exiting senior class at The Westover School which is an all girls prep school. 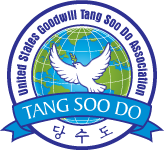 Master Charland, along with 4 other masters created the “Tang Soo Do Masters Alliance”, in 1996 which is a model for the USGTSDA and he was the Chaiman of the Board of Directors for the USGTSDA for it’s first six years and now is on the Senior Advisory Committee with KJN Mike Bogdanski. About the instructor: A veteran of numerous tournament martial arts championships, Wesley Jenkins began training in traditional Tang Soo Do at 13 in 1969 and earned his black belt in 1975. He became interested in Tang Soo Do for self defense at first because the "streets were tough" but admits to being "fascinated" with a 1960's TV show, the Green Hornet. Bruce Lee played the Green Hornet's sidekick Kato. Master Jenkins was in the Army from 1976-1979 and taught Tang Soo Do while stationed in West Germany. After his active duty tour, he returned to training under his former instructor and began competing. After winning scores of local,state and international championships including Amateur Athletic Union state champion, he retired from competition after winning his division at the First World Tang Soo Do Association Championship held in Philadelphia, PA. In 1994, Master Jenkins moved to Waldorf and began studying Tang Soo Do under Grand master Myung Seok Seo of Waldorf, MD. In 1998, Master Jenkins began teaching cardio karate at Gold's Gym and in 1999 he opened the Tiger Do Jang, a true martial arts academy where everyone can be their best ! This clinic is offered by Kwan Jang Nim Keith Bennett of KBKA Pyung Ahn Do. The Yuk Rho Hyung, meaning six fold path (roads) were conceptualized in 1957, the same year that the founder of the Moo Duk Kwan, Hwang Kee, was presented with the Moo Yei Dobo Tong Ji. This seminar is for Dan Members. 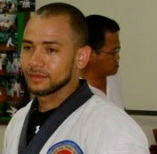 About the instructor: Keith Bennett is a 7th degree Master in the Martial Arts. He has studied the martial arts since 1976 and holds belts in multiple styles. Master Bennett trained under and received his Master Certificate and Belt from Great Grandmaster Hwang Kee in 1996. Master Bennett was recently tested and promoted to 7th Dan by Grandmaster Dominic Giacobbe in 2013. In 2009 Master Bennett launched his own martial arts style, combining his own philosophy with those of traditional Korean Martial Arts. Under his guidance thousands of students have been shown the benefits of Martial Arts and thousand more in the community have been helped through his generosity and the fundraising efforts. This clinic is offered by Kwan Jang Nim David L. Sgro. He will present practical application of the "movements between the movements" in our Basic Hyungs. About the instructor: David Sgro is a 7th Degree Black Belt in Tang Soo Do (Dan #22923); a 5th Degree Black Belt in Japanese Ju-Jitsu; a Certified Arnis/ Kali/Escrima Instructor; a 2 Stripe Blue Belt from Royce Gracie in Brazilian Jiu-Jitsu; and the Creator of FIGHT CUT (Fully Integrated Grappling & Hitting Techniques, Close Up Techniques) which is a Military Combatives System taught to thousands of soldiers including the US Special Forces (Green Berets) and the 82nd Airborne (Ft Bragg, NC). Master Sgro began studying Go Ju Ryu in 1974 with Hanshi Ralph Vergalitto. In 1978 he began studying Tae Kwon Do Moo Duk Kwan with Mr. Michael Enright; and Tang Soo Do Moo Duk Kwan with Charles Ferraro and Roger PetroRoy. KJN Sgro was a long time student of KJN Charles Ferraro (Kwan Jang Nim and Founder of Tang Soo Do Mi Guk Kwan), who was a great influence and life mentor. KJN Sgro was also highly influenced on a technical level by KJN HC Hwang (Grandmaster of Soo Bahk Do Moo Duk Kwan; Dan #509). KJN Sgro has had many wins at National & International competitions and was Coach for Team USA (1999 London, 2001 Athens, 2002 Holland, 2003 London, 2006 Athens, 2007 USA). One of Master Sgro’s special interests in martial arts is the practical application of the movements found in forms (hyung/kata). He is well known for his work on the pragmatic use of the techniques and concepts recorded in the traditional forms. About the instructor: Kristen Duethorn is a 5th Degree Black Belt in Tang Soo Do, a blue belt in Brazilian Jiu Jitsu, and a certified F.A.S.T. defense instructor. She is also co-owner and head instructor of Quest Martial Arts in Putnam, CT, starting first as a student, and then as a parent of two students. Her experiences in martial arts transformed her life and were the catalyst for a career change. She left teaching and guidance counseling profession in 2002 to pursue a full time career in the martial arts. Master Duethorn is especially concerned with women’s safety and self-defence. She travels nationally to conduct clinics on self-defense and awareness for women of all ages. This clinic is offered by Sa Bom Nim Jamal Pender of Aqabah Karate. He will address Brazilian jiu-jitsu basics and counters against some of the most common attack techniques used in physically aggressive confrontations. About the Instructor: Jamal Pender, a 5th Dan in Tang Soo Do, began martial arts training at age six as a member of the Jackie Robinson YMCA in Harlem, NY under Kushinda Lamarr Thornton (Instructor of actor Wesley Snipes). Jamal received his first Black belt in Shotokan Karate at age ten under Mr. Thorton and began Tang Soo Do training with Kwan Jang Nim David Sgro while serving in the U.S. Navy in New London, CT. Jamal has been teaching Tang Soo Do under KJN Sgro since 1996 and has competed successfully in many local and international competitions. Jamal is the Master Instructor and Co-Founder of Aqabah Karate in College park, MD and expands his knowledge of Tang Soo Do by practicing and teaching Savate (French KickBoxing), Muy Thai, Brazilian Jiu Jitsu and the art of Budokon throughout the U.S. and Canada.